The Oluwo of Iwoland, HIM Oba (Dr.) Abdulrosheed Adewale Akanbi, has declared the former Governor of Lagos State, Asiwaju Bola Ahmed Tinubu as the replicate of the siege Obafemi Awolowo, being a first class leader to Yoruba nation. The monarch described Asiwaju as the current nationwide symbol of the cradle of natural crowns (Yoruba) who has built both human and political structure to the survival of Nigeria in general and Yoruba race in particular. Oluwo made the declaration while receiving Nigeria Vice President, Prof. Yemi Osinbajo in his palace yesterday as part of the consultation visits ahead of next week’s general election. The monarch urged Yoruba communities to replicate and not spiting their pride as done to the Late Obafemi Awolowo. Oba Akanbi said Tinubu is a pride whose every existing tribes are envy to be their credit, challenged sons and daughters of Yoruba race to support his political association to navigate the propelled aspirations and greatness of the race. 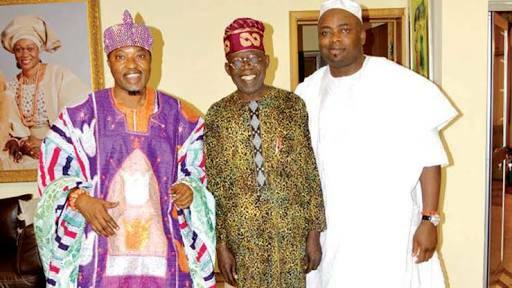 Oluwo stated the political status of Tinubu is unprecedented in Yoruba’s history, noting no one in Yoruba history has made and built human like Tinubu. “Tinubu has made many things out of nothing. He built human across boards. Human development is his primary asset. Vice President, Ministers, Governors, CEO of Agencies, Doctors, Lawyers, Business Magnates, Monarchs etc are products of Tinubu to the glory of God today. You don’t become leaders by amassing wealth, best leader builds more and better leaders. There is light on every darkness he touches.